Your authorized and premier provider of fire apparatus and emergency vehicles and equipment. We represent Pierce, Road Rescue, Wheeled Coach, Frontline Amblances, Bear-Kat brush trucks and more! C. W. Williams & Co.
CAB (Carolina Ambulance Billing) is a family-owned, local business that is closing in on its 30th year of billing for EMS, rescue squads and non-emergency transport companies. We offer free ePCR to our clients and a very competitive billing rate. The EMS Performance Improvement Center is a satellite office housed within the Emergency Medicine Department at the University of North Carolina at Chapel Hill. The center is research oriented and funded through contracts, subcontracts, grants and agreements. Although the EMS Performance Improvement Center operates as an independent off-site entity in regards to routine and non-routine matters, it is linked for the purposes of state-wide coordination with the UNC Health Care System, Department of Emergency Medicine, and the lead facilities in multiple states including, the North Carolina Office of EMS (NCOEMS), the South Carolina Department of Health and Environmental Control (SC DHEC), the West Virginia Office of EMS (WVOEMS) and the Mississippi State Department of Health (MSDH). Through these venues, all counties within the states of North Carolina, South Carolina, West Virginia and Mississippi are linked to the EMSPIC seven days a week, twenty-four hours a day, in a variety of cutting-edge IT programs aimed towards comprehensive pre-hospitalization trauma and disaster services, coordination, policy-making, regulation, and research. PreMIS, CIS, SMARTT, and the EMS Toolkits together are coined the EMS Data System. The North Carolina EMS Data System is fully implemented and operational within North Carolina and is currently in use by over 700 NC EMS agencies and 40,000 EMS personnel. Within North Carolina, the PreMIS system collects an estimated 1,000,000 EMS call reports per year, containing well over 200 data elements per record. In 2008 the EMSPIC initiated contracts to implement an EMS Data System within the states of South Carolina and West Virginia and by January 2010, the EMS Data System was fully implemented within these states and is in use by over 100,000 EMS personnel. It collects over 2,000,000 EMS records annually through daily data submission by every EMS agency encompassing these three states. Via I-40: Take exit 273, NC-54 towards Chapel Hill. Merge onto US-15/501 South, toward Carrboro and Pittsboro. Take the ramp toward Carrboro and Pittsboro that is US-15/501 South - NC-86 North. Turn LEFT onto NC-86/US-15, which is also South Columbia St. Continue South towards Pittsboro. Continue through the light at Culbreth Road. Turn right at the second entrance to Southern Village, the light at Market Street. For adjacent parking, turn into the first driveway on your right. After turning into the driveway, the PreMIS offices are the first building on the right, 100 Market Street. The office itself is on the second floor of the building. FirstNet — the network, devices, applications, and technologies — is a dedicated communications tool created for and by public safety. Together with first responders, we are committed to advancing public safety, making their communications easier, faster and more direct. So, first responders can focus on what’s important: working together to save lives. Local Government Federal Credit Union serves North Carolina's local government employees, elected/appointed officials, volunteers and their families. The $2.0 billion federally chartered credit union is a cooperative of more than 300,000 members associated with various facets of local government in North Carolina's 100 counties and 546 cities, towns and villages. Mountain Tek - Technical Rescue Equipment, Inc. Supplying technical rescue gear for rope rescue, confined space, swiftwater rescue, tactical EMS and Law Enforcement and SAR. Bringing technical experience and competitive pricing to the rescue community. Visit us at www.mountaintek.com to view products or request a catalog. Our contact information is 828-692-8609 (via phone) or info@mountaintek.com (via e-mail). Newton's Fire & Safety Equipment, Inc. Serving you - the customer - by offering only the finest in fire, rescue, and safety products available. We invite you to learn more about how our team of professionals can make "The Difference" with your next important purchase! North American Rescue empowers today’s first responders with tailored, mission-enabling prehospital trauma care solutions needed to counter the rapidly evolving threats of the 21st century. These Products with a Mission® include point-of-wounding medical products, ballistic protection, fire suppression, casualty evacuation, and rope rescue equipment. information on the various products and services we have to offer! Select Custom Apparatus, Inc. located at 6100 North Main Street; Falkland, North Carolina has been the dealer for Wheeled Coach Industries, Inc., an ISO 9001:2008 Company, for almost 30 years. 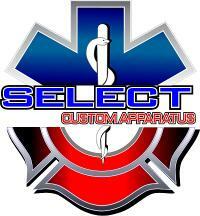 Founded by Jamie Norville, Select Custom Apparatus, Inc., began as Norville's Emergency Supplies in 1987 selling Fire/EMT/Rescue supplies out of a modest modular office on the property we are currently located. In 1988, Jamie Norville was selected by Wheeled Coach Industries, Inc. to be the representative of its product line, hence the name was changed to Wheeled Coach of North Carolina offering a new line of ambulances and rescue vehicles to meet customer's needs. As a Wheeled Coach dealer in North Carolina and South Carolina, we currently operate a state of the art repair facility capable of any repair to a Wheeled Coach product, including frame and chassis modification, not limited to collision repairs, custom, and restoration work. Our team of highly trained experts is with you from design, purchase and service throughout the life of your Wheeled Coach experience. In 1998, the first building was erected on the property. This building currently houses the main offices of Select Custom Apparatus, Inc., and the parts department. In 2006, another 10,000 square foot building was erected behind the main office building. Today this 10,000 square foot facility houses a 48 foot long by 16 foot wide by 14 foot tall Accu-Draft paint booth that was custom manufactured in Italy. This building is where the lion share of the remount process takes place. Additionally cabinet manufacturing, modification, custom wiring, custom paint and graphics are all performed here in a turnkey process for our customer's emergency vehicles. We would like to take this opportunity to thank our many customers. We are very proud to be serving our community, the Mid-Atlantic region and our nation's first responders with "Best in Class" products and services for over thirty years. Southeastern Emergency Equipment is a full-line specialty distributor providing equipment, supplies, pharmaceuticals and training/education solutions to EMS and Fire. We are honored to Serve America's Finest™ since 1979. Ambulance Remounts, Rescue Vehicles and Specialty Vehicles. Spartan Fire and Emergency Apparatus, Inc is proud to be the authorized sales and service dealership for Braun Industries, Inc. in the State of North Carolina and South Carolina. Jimmy Hare, Branch Manager, Certified Retirement Counselor. 919-778-7712. 800-372-8753. With 23 years of investment experience, Jimmy Hare offers a distinctive blend of professional investment counsel and personal service. He helps his clients develop clear investment objectives and goals, and creates an individualized investment plan that is continuously monitored. Jimmy offers a hardworking, common sense approach to investing, especially for people who are retired or near retirement. Created By EMS, For EMS & Rescue, iOps360 offers a comprehensive Scheduling, Communication, Education, Truck Check, Forms, Inventory and more. We combine all areas of your operation into one simple to use platform, saving you time and money. Upfront simple pricing. No Hidden costs. $3/user/month with on-site training. 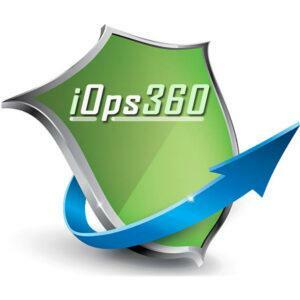 Visit our booth to learn what iOps360 can do for you!